Overview: Zoo America began as a private animal collection by Frank and Louise Zinner in 1899 when they moved from Germany. However, they were not allowed to keep animals in their yard but knew that Milton Hershey was building an amusement park nearby. In 1905 when Hersheypark opened the Zinners went to speak to Milton Hershey about a zoo in his park, he agreed and the animals became part of the Hersheypark history. Other animals were added over time and Zinner served as zookeeper of his animals and others until his death in 1918. In 1975 the zoo was remodeled into Zoo America and features the animals native to the North American Continent. Zoo America isn't huge. It's fairly small and features only a limited number of unique animals. While most other zoos tend to show the exotic, Zoo America shows the native animals others often overlook. It's divided up into regions of the United States and showcases animals from that area. To be honest, we skipped over the first building which was "Southern Swamps" as both of us grew up in Florida and are familiar with all the annoying 'bitey' type critters that live in the area. So we quickly moved onto the next building in the suggested tour route, the Great Southwest. This features the critters of the desert such as Roadrunners, Burrowing Owls, Quail, Snakes, Ocelots and Foxes. The next area on the walking route was "Eastern Woodlands" which is animals found on the east coast area. While we have seen most of these critters before, it's always nice to be able to get a good look rather then the quick glimpse that happens in nature. The Bobcat to the right wasn't very interested in doing much more then sleeping but we got a good chuckle out of the fact he decided to grace everyone with an excellent shot of his foot sticking out of the wire enclosure. The area features animals like Barn Owls, Red-tail Hawks, Bobcats, River Otters, Black Bears and White-tail Deer. The next area was "Big Sky Country" which as the name entails, is the Mid-west area of the US. Most of these animals have large habitats found outdoors strewn through the back corner of the zoo's area. 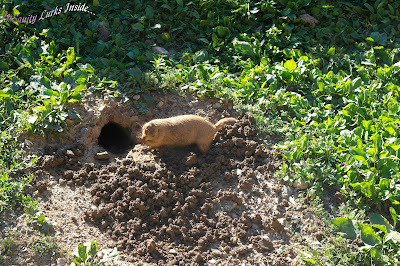 We spent a good 15 minutes or so watching the Prairie Dogs because they are just such comical little critters, the one in the picture to the left was utterly obsessed with digging his new hole. Big Sky country features animals like American Elk, Mountian Lions, Sandhill Cranes, Long-eared Owls and Turkey buzzards. The next and last area in Zoo America is called "Northlands" which seems to be the great Northwest of the US. 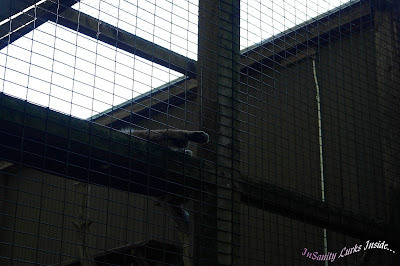 Here we couldn't get many pictures as most of the animals in this area were at the very back of their enclosures and sleeping. 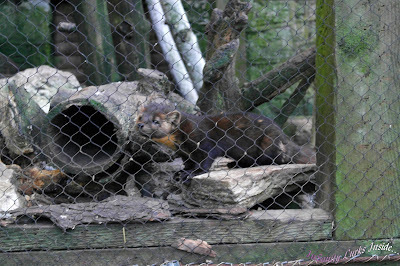 However, we found amusement watching a very hyperactive Marten who was waiting for his dinner. They look much like the domesticated ferret and are part of the weasel family. Both of us were rather happy he managed to hold still for about .05 seconds for us to snap the picture to the right. 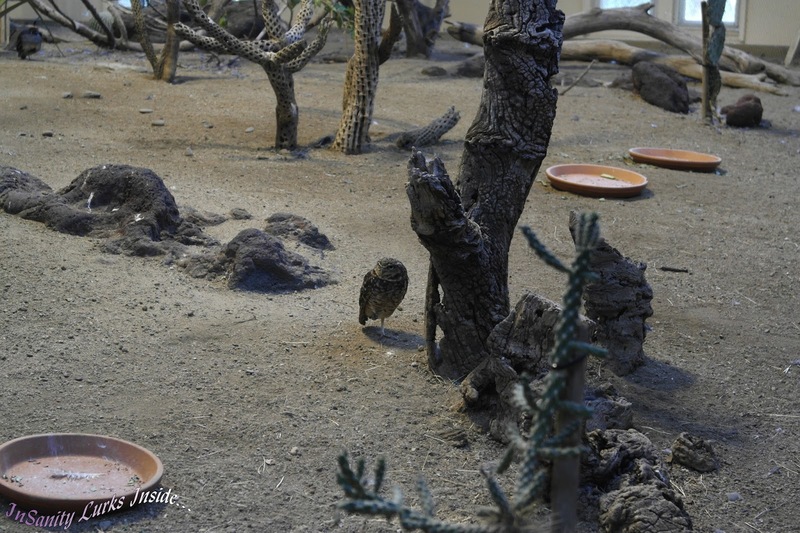 Northlands features animals like the Snowy Owl, Gray Wolf, Bald Eagle, Canada Lynx and Porcupines. As I said earlier, Zoo America isn't huge. It's tiny compared to most of the other zoos I've visited but I like the fact they show North American animals. Some of these I've never seen before simply because other zoos tend to focus on the larger and more exotic critters like Zebras, Elephants and Giraffes. Frankly, I like the concept but the presentation could be better. 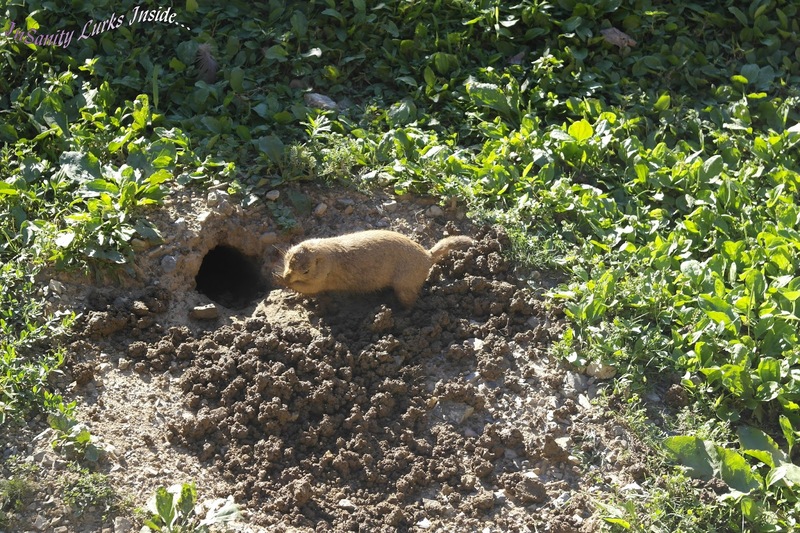 Some animals are very hard to see due to the size and shape of their enclosure, not allowing guests to have a good look at the animals of our continent. The fact it's included in your admission to Hersheypark (but has separate admission if you'd rather visit it alone) is a nice bonus and a good way to relax between rides.